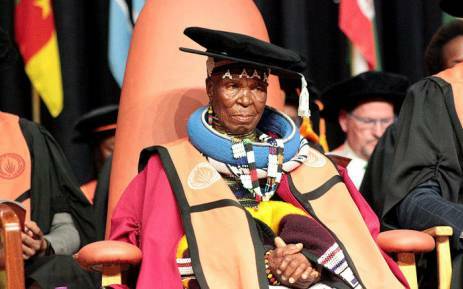 On Monday, 9th April, the University of Johannesburg honoured internationally-renowned iconic Ndebele artist, Esther Mahlangu with a doctoral degree for her contribution to the arts. She's been painting Ndebele artworks for over 70 years. Her work has been featured at galleries across the globe. The 82 year-old has also collaborated with renowned brands such as BMW and singer John Legend. Last year she was honoured with a street mural in New York City last year as a dedication to her outstanding Ndebele-inspired artwork. Dr. Esther Mahlangu arriving at the University of Johannesburg's Auckland Park Kingsway Campus before the ceremony. 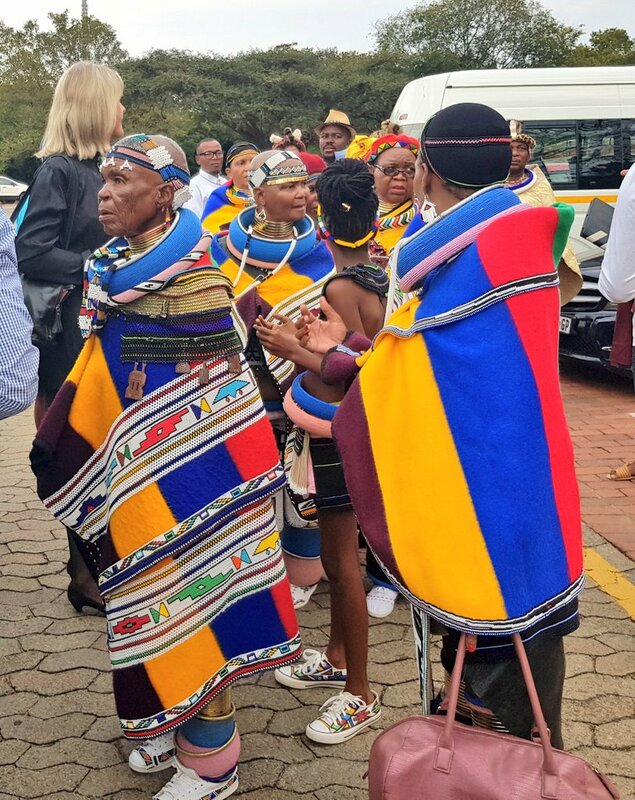 As usual, in her true style, Gogo was dressed in the ever so colourful and majestic traditional Ndebele apparel and serving squad goals while at it. Acknowledging and celebrating our icons when they're still alive will never go out of style; it is crucial. Dr. Mahlangu is undoubtedly the epitome of "Be yourself, the world will adjust". I'm in awe of her work and how she continues to uphold a very integral aspect in society. A true custodian of culture and heritage. Congratulations.